To correct your posture, first, move your shoulders up and down. Find the position Then, check your posture by practicing the Ki test. 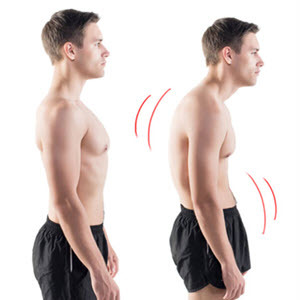 Is your posture comfortable and stable Do you have any tension in your body Do If you can practice correct posture, you will most likely perform breathing exercise correctly. As I have already explained in a former chapter concerning correct posture, when you practice correct posture in standing, you stand on your toes with your heels off the ground and ease your heels down to the ground. When you practice correct posture when sitting, you rise on your knees then sit down lightly. If you relax your shoulder and arm, the weight of upper body settles to the one point in the lower abdomen naturally. In this state, have someone test you by lifting your foot or arm so that you can understand the correct feeling. If your posture is very stable, this is living calmness. If you practice this in your daily life, your body will learn living calmness without thinking about it constantly. If you have trouble breathing, there is probably something incorrect with your breathing. In this case, you should not bear it. You should review your posture with oneness of mind and body. Then, return to the starting point. In addition to that, please check if you really exhale and inhale naturally using Ki tests. 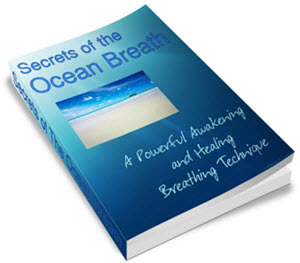 If you exhale and breathe in unnaturally, you will feel tension in your body. If you are tested, you will know your posture is unstable. Like your regular breathing, if you do not think about doing Ki breathing, this is the best. If you are tested at that moment, your posture will be stable. When you practice Ki breathing, please do not forget exhale naturally, inhale naturally. When practicing Ki breathing while walking, do not move your upper body or lean forward and backward because if you do this, you will not be able to walk. Calm your mind by concentrating on the one point in the lower abdomen, and keep a correct posture, and exhale as calmly as possible. If you keep a correct posture, you will not get pain in the lower back unless you have other illnesses that cause you pain. Pain and feeling heavy in the lower back comes from a wrong posture or unnatural usage of your body. Once you remove pain and the uncomfortable feeling in your hip, commit yourself to practicing a correct posture with oneness of mind and body. Posture with oneness of mind and body keeps you in good shape. Also, maintain a correct posture. You can prevent many diseases by doing self-Kiatsu when you feel something is wrong. If self-kiatsu does not work well for you, your posture is unnatural so you are using unnecessary tension. This state is called, Ki is not extending. The basic of self Kiatsu is oneness of mind and body. 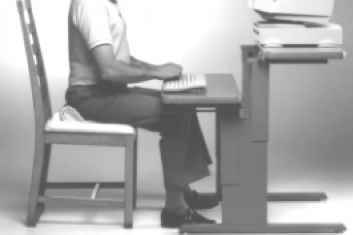 Therefore, before you start self Kiatsu, it is good to check your posture if it is natural and stable. Every martial art system stresses the development of arm and elbow power and strong finishing movements. In the Daitoryu, stability of the hips and legs and good posture is also very important In medieval times, many battles were conducted on horseback and a high-ranking warrior needed to be able to use both hands and legs equally well in order to control a horse and wield a weapon simultaneously. The samurai of the Aizu domain were said to be especially good at incorporating the movements of everyday life in the castle sitting, standing, walking into their martial art training. Frozen shoulder was common among people in their 40s and 50s. There are many people who suffer from stiff shoulder at any age. If we maintain a correct posture, we can be free from stiff shoulders and pain. An unnatural posture can become the cause of stiff shoulders. Stiff shoulders make blood circulation poor, and can have an adverse effect on our head and eyes immediately. Grab the opponent by the throat, on the inside of the neck muscles so that your fingers close around the back of his larynx. Squeeze very hard and back the grab up with firm to aggressive verbal commands. It often helps to grab the opponent's arm with your left hand while you squeeze with the right hand. 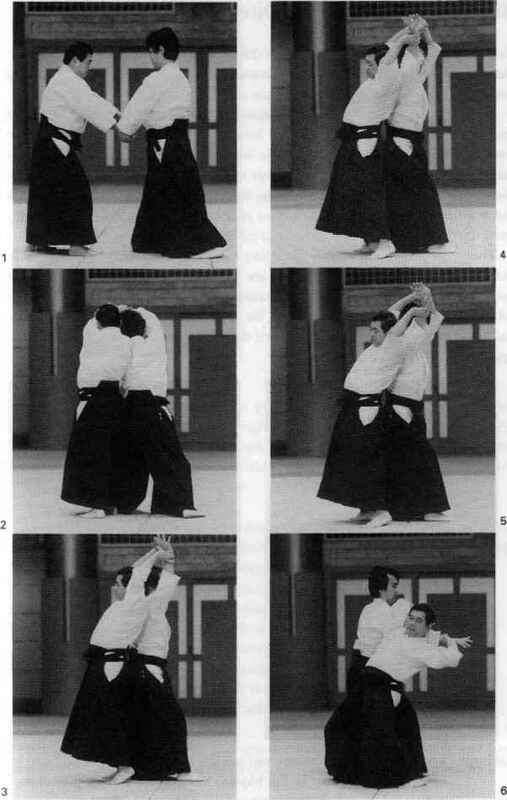 These are not illustrated but consist in allowing the attacker to almost complete his stroke, then suddenly avoid the cut and reply before he can recover. It is not considered good form to 'dodge' about or 'duck' and Hazushi-waza are performed in correct posture, normally raising the blade at the same time. The most important thing is to practice oneness of mind and body. The correct posture is a natural posture when you do Ki brathing. Many of you might hold your breath without being aware. If you do Ki test at this moment, you will know that if you tense your body, your posture is unstable. Let's do another exercise. This time, let's try dead relaxation. Drop your shoulders like when you are disappointed and let your back bend. Postural, psychological, spiritual and task performance issues form an indivisible whole. Even a very simple physical problem may have elements of emotional and spiritual difficulties hidden within it. For example, perhaps the reason that a person locks their hips when they run is that they were sexually abused as a child and maintain continuously high level of tension in their pelvis. It is often the case that without resolving an emotional element, a physical task that the student wants to improve cannot be changed. By the same token, if a student wants to resolve some emotional or spiritual difficulty, the body posture which is the physical expression of that difficulty must first be loosened and changed to allow psychospiritual change to begin. The body state of freedom and balance is the concrete extension of the emotional and spiritual state of wholeness and peace.